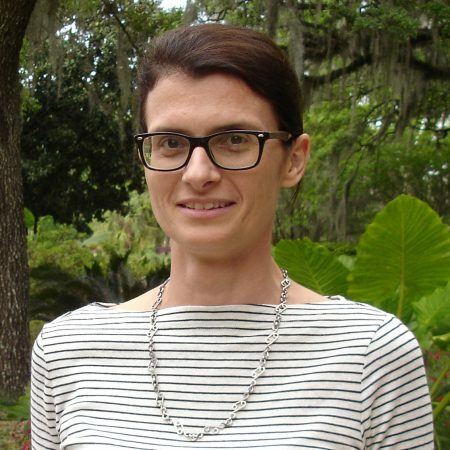 Silvia Valisa, an associate professor of Italian studies at Florida State. Florida State University Libraries has been working for the past two years to digitize the Italian newspaper Il secolo, a political daily published by the Milanese firm Stabilimento Sonzogno between 1866 and 1927. An initial sample, now available for viewing, consists of a nine-month run of the paper, from January to September of 1885. “Il secolo will be of interest to scholars of 19th century Italian and European history and to anyone interested in the content and format of a political daily in Unified Italy,” said Silvia Valisa, an associate professor of Italian studies at FSU who is directing the digitization project. The newspaper provides examples of Italian newspaper feuilletons, or supplements, and specific coverage of major national and international events, including the Italian government’s African expedition of 1885, the British Parliament bombings and carnival celebrations across the Italian peninsula. The front page of Il secolo (top) from Feb. 12, 1885, which covers the Carnival, and a back page from Feb. 22, 1885, which features a map of a region of West African — the Red Sea and the Gulf of Aden, showing parts of today’s Eritrea and Djibouti — that exemplifies early colonial discourses about Africa in Italy. “We wish to thank the Biblioteca Nazionale Braidense (Braidense National Library), Milan, Italy, which provided the microfilm version of Il secolo, and all of the passionate contributors to the project here at FSU, in particular the FSU Libraries Digital Research and Scholarship team, coordinated by Micah Vandegrift,” said Valisa, who also acknowledged the contributions of FSU graduate and undergraduate students who collaborated on the project up to this point. The digitization project got underway in 2013 after Valisa secured two successive Bradley Primary Materials grants — $10,000 in 2011 and $5,300 in 2012. These made possible the purchase of the primary source material from the Braidense National Library. Valisa is currently searching for a new round of funding to proceed with a larger sample and eventually complete the project. To search or browse the current portion of the collection, visit http://ilsecolo.lib.fsu.edu/search.